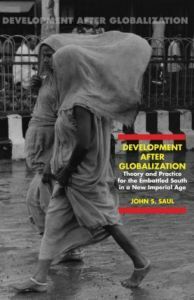 John Saul’s long association with African countries have drawn Saul not only to write widely on African questions but also to reflect more generally upon the situation in the broad range of regions in the global South that experience, in shared if also diverse ways, the hard facts of poverty and exclusion in the present world of capitalist globalization. 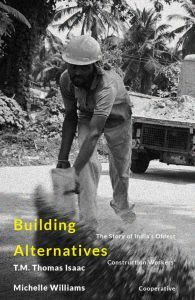 In this book Saul interrogates the reality of “underdevelopment” in such an unequal world, one driven principally by western power and capitalist profit-seeking and supported by inequalities of power and influence within the countries of the “Third World” themselves. This book contributes significantly to the fine-tuning of our perceptions of the fundamental and varied forms of inequality that characterize the new imperial age, and has some very important things to say on the linkages between class-based struggles, progressive identity politics and assertions of gender equality. It calls for a synthesis of democratic, socialist and anti-imperialist sensibilities. A professor emeritus of political science at York University, Toronto, John Saul has had a long and distinguished career as writer, teacher and activist in both Canada and southern Africa. As part of his involvement and concern with national liberation movements in Africa, he has participated in many committees with leaders of these movements, and interacted with them on issues of strategies and policies. He has authored and co-authored some 20 books on Africa and more general development issues, and is considered an authority on the region. Among his most famous books are essays on the Political Economy of Africa (with Giovanni Arrighi), Recolonization and Resistance: southern Africa in the 1990s, The Next Liberation Struggle: Capitalism, Socialism and Democracy in Southern Africa.